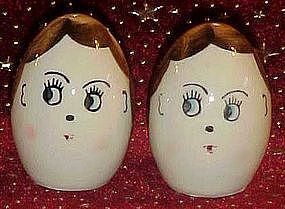 Cute vintage egg heads are hand painted underglaze. Real egg size measuring 2 3/4" tall. Perfect condition but one cork missing.